Detroit – The Bunch Blog! 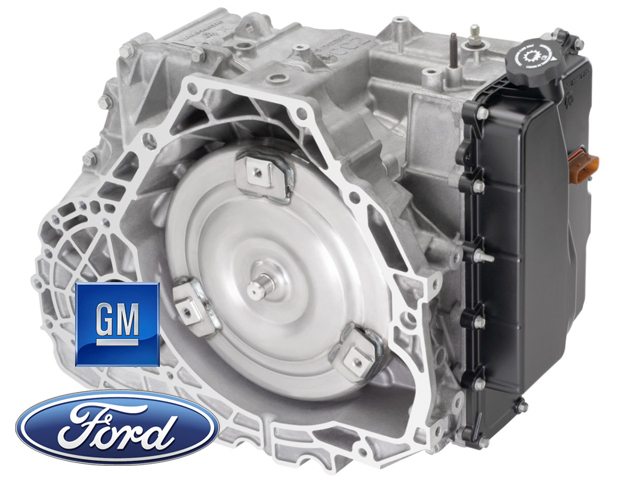 DETROIT – Ford Motor Co. and General Motors Co. have signed an agreement under which both companies will jointly develop an all-new generation of advanced technology 9- and 10-speed automatic transmissions for cars, crossovers, SUVs and trucks. The new transmissions, to be built in both front- and rear-wheel drive variants, will improve vehicle performance and increase fuel economy. The collaboration enables both automakers to design, develop, engineer, test, validate and deliver these new transmissions for their vehicles faster and at lower cost than if each company worked independently. DETROIT — Call, write, email, tweet Chevrolet right now and tell them you want the Code 130R. The red one. GM’s advanced design chief, Clay Dean, says the vote so far is overwhelmingly for this rear-drive car over the Cruze-based Tru 140S, the white car, which frankly (my opinion, not his) looks like a Mitsubishi Eclipse. These are the two Chevy concepts GM is showing to young people to gauge interest and build a business case. The red car’s designer, Joe Baker, worked for Ford, where he designed the 427, Interceptor, and Bronco concepts. Although the company applied some of his design cues to front-drive cars, Ford never produced his concepts, so listen up GM: Don’t let the red car or his designer get away. Here’s why I chose the Code 130R as the most significant intro from the 2012 North American International Auto Show. It’s meant to be a $20,000 rear-drive coupe that can reach 40 mpg with a 1.4-liter Ecotec turbo four, and it’s based on the same Alpha platform as the Cadillac ATS, the next CTS, and the 2015 Camaro. It’s like a reversal of GM in the bad old days of Roger Smith, when it went to front-drive for most of its cars, including Cadillacs and Buicks. I don’t expect GM to switch back to RWD for most of its cars, nor should it. But it would be nice if the Alpha platform and a lightened Zeta II could accommodate a variety if cars of varying sizes and sticker prices, from Chevy to Buick to Cadillac to Holden and even Opel. The millennial buyers get the Code 130R, Dean says, because they know drifting and they understand the handling advantages of RWD. So call or write GM and tell them you’d buy one. Mainstream buyers would get the 140-horse 1.4-liter Ecotec, though of course the 2.0-liter turbo Ecotec that makes 270 horsepower in the new Caddy ATS will fit. The red car is much more finished than the white Chevy concept, with door handles, a trunklid, and a hood line, and Dean says there’s a business case for it. Chevy could get it into production pretty quickly. It needs a new name. Call it “Corsa,” the name of a sporty Corvair from the ’60s, and used on a small Opel in Europe. Yes, you should be worried about Google testing autonomous cars. It has been testing driverless Toyota Priuses and other models since competing with General Motors and other teams in the Defense Advanced Research Project Agency’s autonomous vehicle demonstrations of the late 2000s. The ubiquitous computer search engine company has been reticent in talking about its project toMotor Trend, though The New York Times’ November 13, 2011, expose on Google X, the company’s research lab, reported that the autonomy project is part of a secretive effort to open and establish new markets and technologies. One non-innovative Detroit automaker is experimenting with driverless cars too, though its efforts are more practical and palatable to those of us who don’t want to give up the wheel, throttle, and brakes, much less the gearbox. GM’s futurist, Chris Borroni-Bird, director of Advanced Technology Vehicle Concepts, says some form of autonomy will be on the road before the end of the decade. 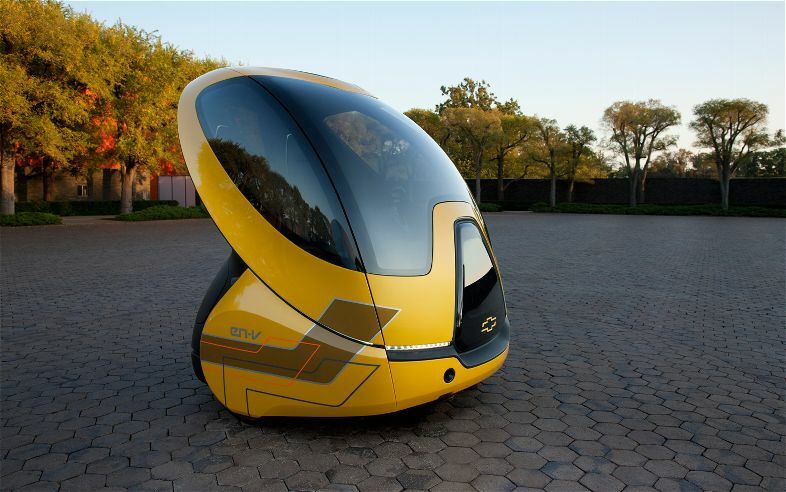 The result so far is GM’s Segway-based EN-V bubblecar concepts, last year renamed as part of the Chevrolet brand. When such vehicles hit the road some time in the future, Borroni-Bird says, they’ll likely look much different, but they’ll work much the same. The Chevy EN-V is designed to be a small, electric car that could have one, two, three, or four wheels, one or more seats, and be part of a megacity’s car-sharing program. EN-Vs will have top speeds in the 25-mph range to coexist safely with pedestrians, bicycle messengers, and other vehicles, and can get a quick recharge during the day, between ride-share customers. The technology involves global positioning systems and short-range communications antennas, necessary because the tall buildings that make up urban canyons can hamper GPS. Often, the cars will run in tandem like schools of fish. Because autonomously operated cars in theory won’t have accidents, they won’t have to carry heavy safety features like airbags and 5-mph bumpers. 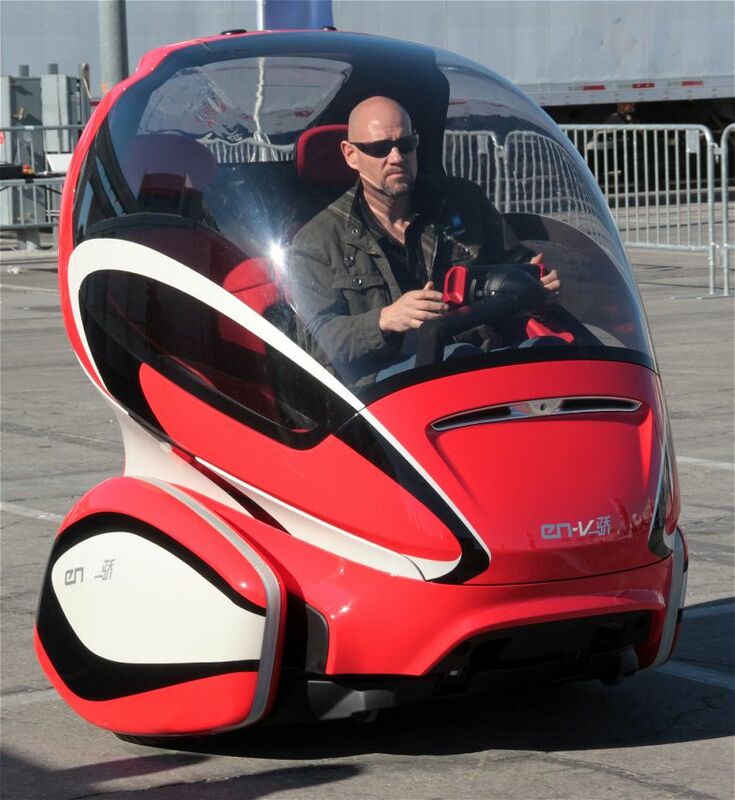 I briefly drove one inside a GM garage, limited to no more than 5 mph. 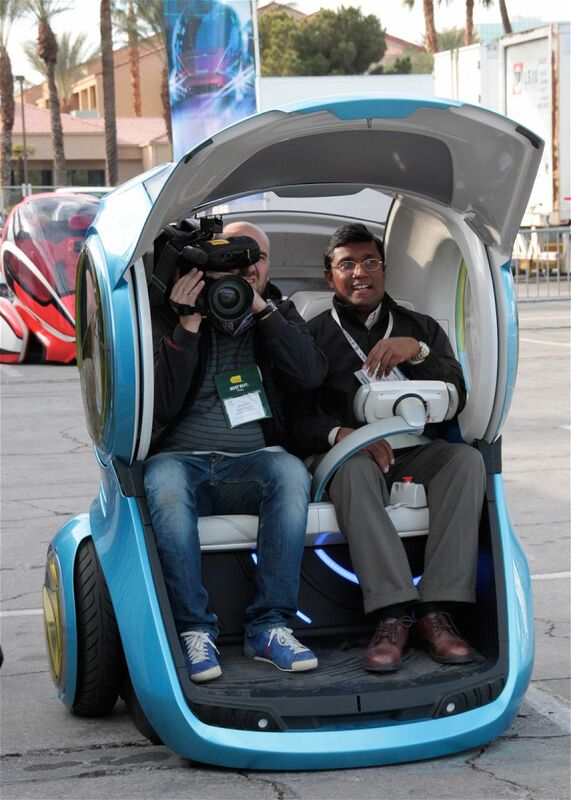 The bubble car is incredibly easy to use, fun to drive, and finally makes good use of the Segway technology Dean Kamen oversold a decade ago. Buckle up, start it, and the “car” rises up and balances on its two wheels. Pull the yoke to go forward, and pull on bars on the back of the yoke to brake. It has a 0-foot turning radius, of course.